If needed click on the picture to read full size. 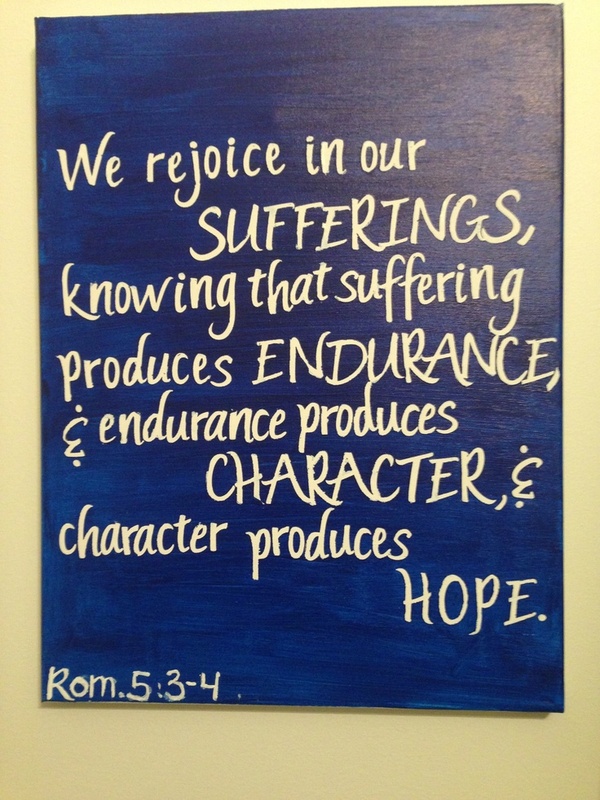 All things”—good and bad; bright and dark; sweet and bitter; easy and hard; happy and sad; prosperity and poverty; health and sickness; calm and storm; comfort and suffering; life and death. 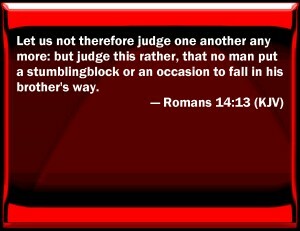 We sometimes criticize others unfairly. We don’t know all their circumstances, nor their motives. 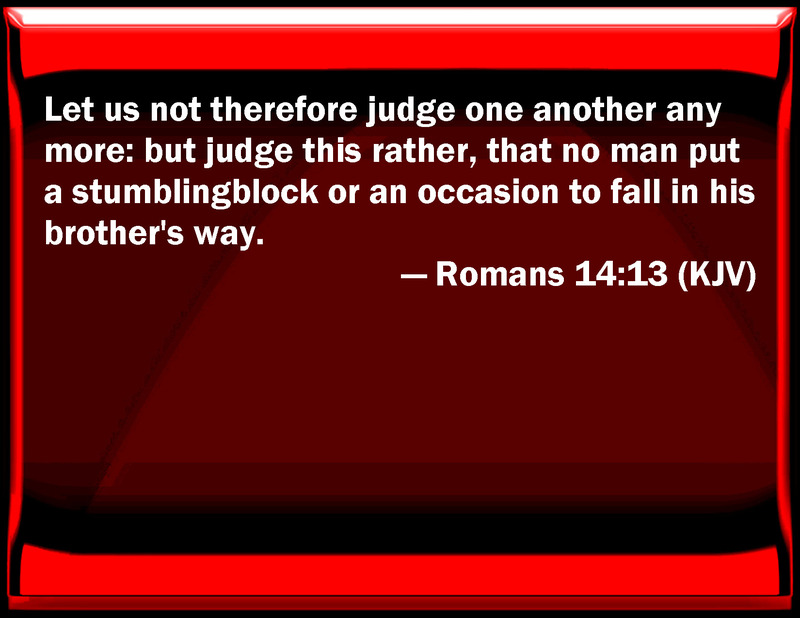 Only God, who is aware of all the facts, is able to judge people righteously. Beyond that, they must give account to God, not to us. When we are strong, we tend to want to do things ourselves. We tend to go out to do things for God. 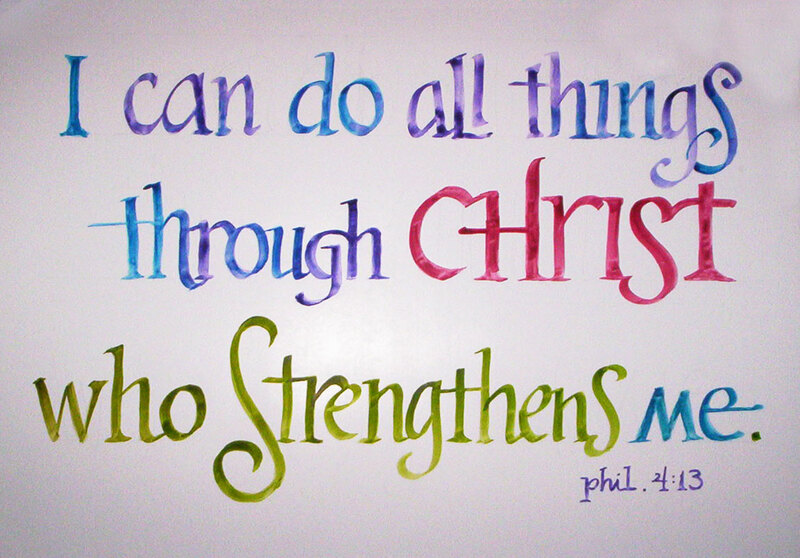 But God wants us weak so He can do things in and through us. When we are weak, when we recognize that we are weak, that’s when we finally open our lives up to allow God’s power to work in us. The Lord is a faithful friend. 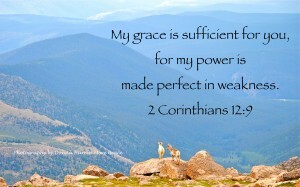 He is and has all the grace we will ever need. Rest in this fact today. God will not forget us when we’re in trouble or when we are old. 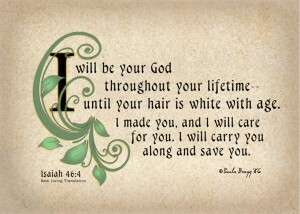 We may outlive our friends and be forgotten by those who know us, but God will never leave us or forsake us. He will sustain, carry, protect, and rescue us. God’s word is true and it is sufficient. 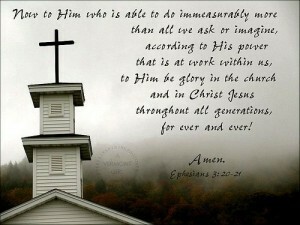 It is sufficient for every person, old or young, rich or poor, sinner or saint, backslidden or godly. 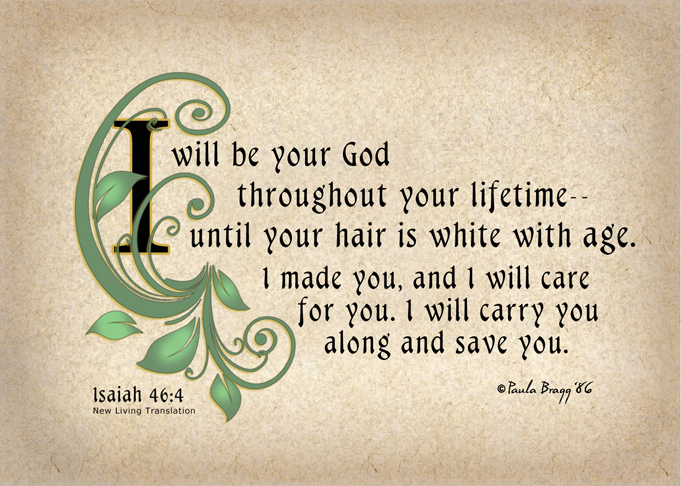 He promises that by knowing and doing what He says we will be shielded and protected from the storms of life. 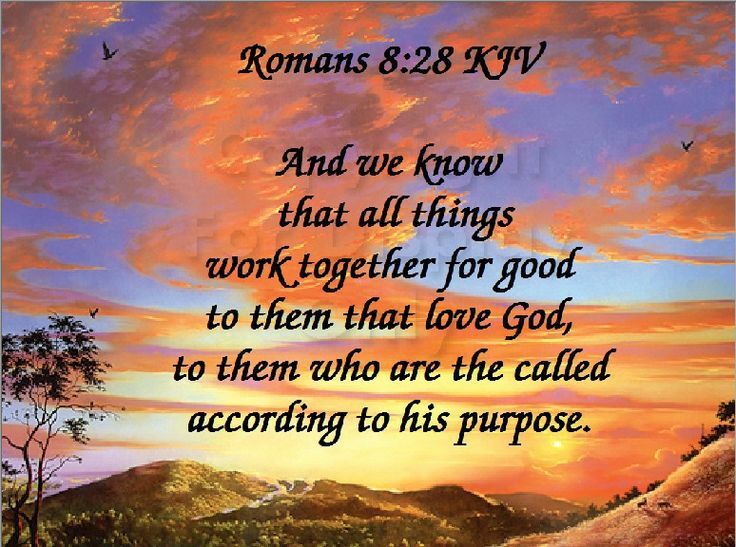 It doesn’t mean storms will not come or that we will not be tempted or tested, but it does mean that when we know what God says and are committed to doing it, we will not be destroyed but will overcome them better and blessed. Our inclination is to step on the gas and go full speed ahead, believing that doing more, and having more, makes us more complete. 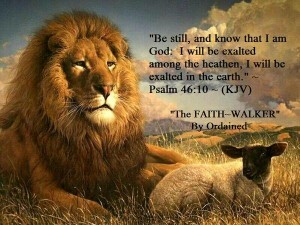 Instead, God is telling us here to hit the brakes and be still. If we are busy being busy, God’s voice can be nearly impossible to hear, but the problem is that many times we view being still with God as inactivity. It is critical to our faith to realize that the more we are deliberately still: the more we hear God’s voice, the better we recognize God’s activity, the smaller our issues seem, the bigger God appears, and the more we follow God’s divine purpose for us, instead of just our own agendas, ideas, and abilities. 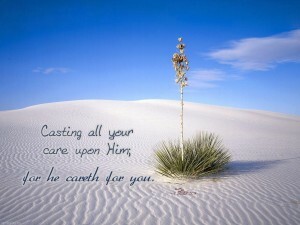 When we are aware of who He is, all that He has done, is doing and will do, we cannot help but exalt His Name. O give thanks to the God of Heaven. Dear Lord, Thank you for providing us with the one source of love on which we can always depend. May the Holy Spirit keep us steadfast in our knowledge of Your love and help us to continue to spread that love through all we do. Amen. Lord, there are days when the sun doesn’t seem to shine and the heaviness of what’s going on around me pulls me down. Instead of getting bitter and hateful about my circumstances, help me to see them as opportunities for You to work in me and through me and for me. Then may I rejoice. If a man feels and knows and is convinced that God is the all-wise and all loving Father; then he can humbly accept all that God sends to him. The proud waters of evil may be threatening to overwhelm you, but God knows the moment when they will hit their predetermined limit. On that day your enemy will be like a wild dog at the end of a long chain, and you will be able to rest peacefully as God says to the enemy, “This far and no farther! God put boundaries on the ocean. 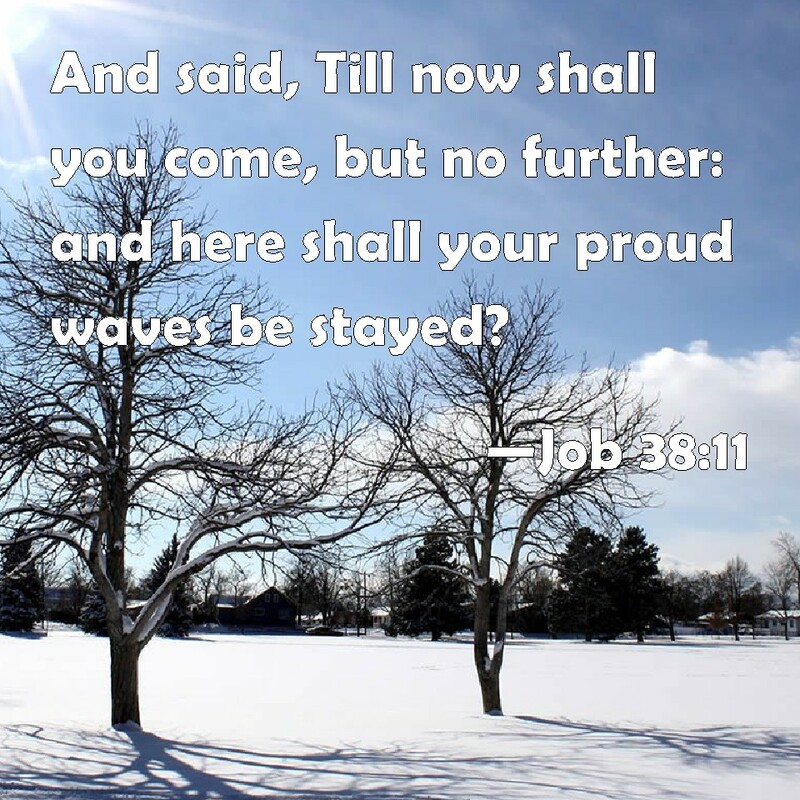 God has enclosed them, saying, “This is where your waves will stop. Today, when pressures mount up, when there is a misunderstanding, when you feel like there is no way out, don’t let anger take over. Get rid of the bitterness, rage and anger that consumes you. It is a habit that needs to be broken. Instead lift up a prayer and ask God to help you react in a more Godly fashion. Do what Paul suggests. 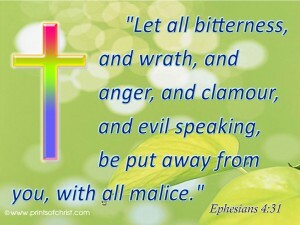 Be kind, compassionate and forgiving toward those that have made you mad. Why? Because Christ has already done the same for you! Put off the “grave clothes” and put on the “grace clothes” in our actions and speech with those we live, work, and worship with. Run to Him! There is no help anywhere else. Run to Him by prayer. Run to Him believing. Run to Him in faith. Run to Him now! He will deliver you from all your enemies and troubles in this life and life in the world to come. Run to Him! 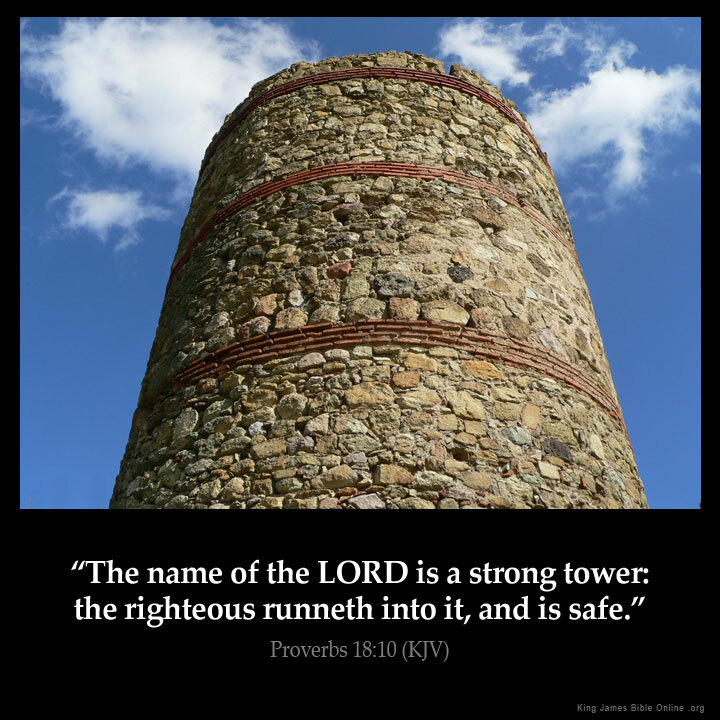 A strong tower is a place to find safety from danger. 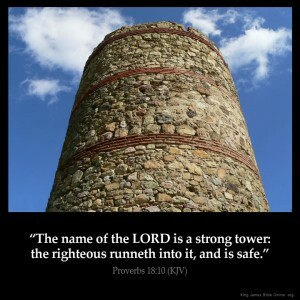 The safety of the righteous is within the tower of the Lord. He is safe from, The assaults of the devil, From the world, From his own natural depravity, From the accusations of the law, From the accusations of conscience, From the fear of death. Our highest aspirations are not beyond God’s power to grant. What we have asked for is as nothing compared to the ability of our God to give. Our best asking falls immeasurably short of our Father’s giving. 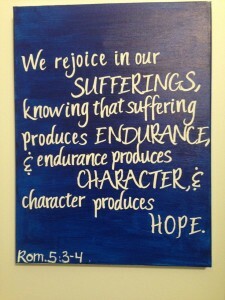 There is no reason to live without hope in your Christian walk anymore. 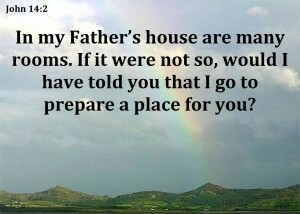 Christ wants to and will bring it beyond your wildest expectations. Out of patient endurance springs fragrant Christian experience, as the soul learns how wonderfully Christ can sustain in every circumstance. And experience blossoms into hope, weaning the heart from the things of earth and occupying them with the heavenly scene to which we are hurrying towards. 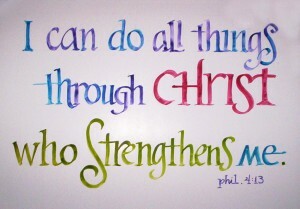 Through Jesus Christ we cannot necessarily do anything we feel like doing but we can do everything God wants us to do. We can face everything he wants us to face, we can fight every battle he wants us to fight, we can obey every command, we can endure every trial, and we can overcome every temptation through Jesus Christ. 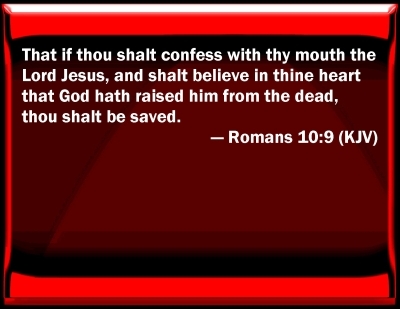 God did not save us to hide us away within the walls of the church. God saved us to display us to the world. He saved us so that through us He might show others what He can do for them. As surely as the stars, planets, sun and moon declare the existence and power of God, nothing declares His glory, His power and His existence any more than a life that has been redeemed by grace! 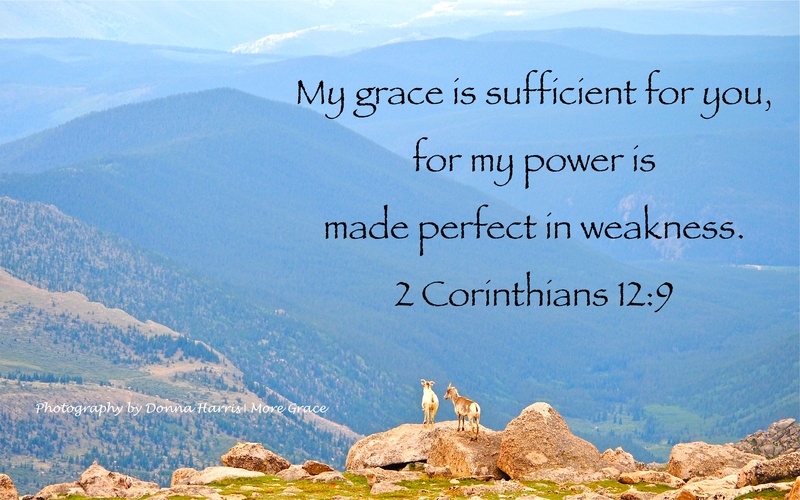 Every child of God, who walks, talks, acts, thinks, and lives differently because of grace, is a bold, powerful witness to the power of our great God. 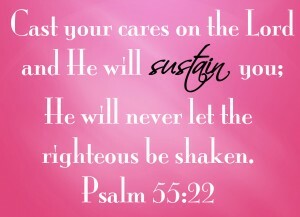 As we cast our burdens upon the Lord, we must realize that God cares about us and what happens to us. When we cast it onto Him the key is to leave it there instead of taking it back with us when we leave the throne room. Life in a broken and rebellious world is difficult. Are you resting in God or in something else? 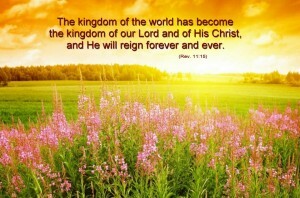 A kingdom is a sphere or realm over which a ruler exercises his authority. This realm can be physical, spiritual, or both. 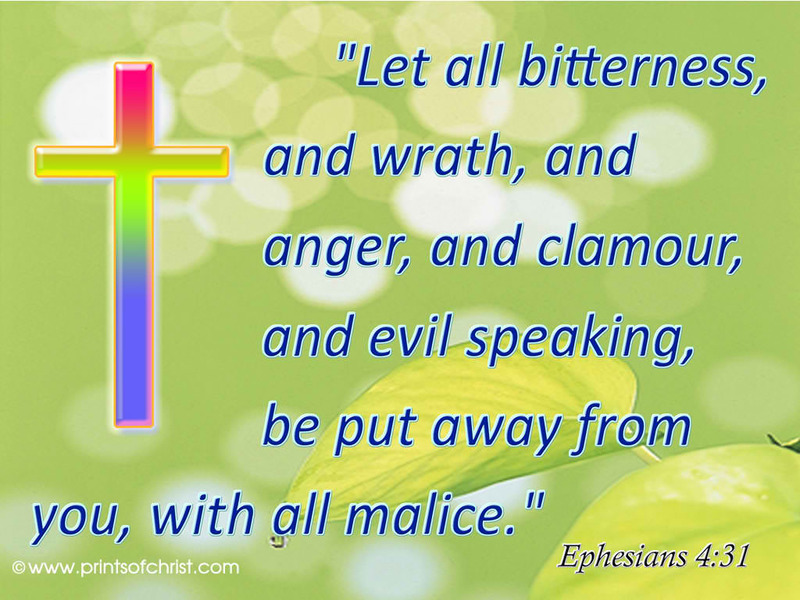 Remember, the major message of Revelation is the triumph of God over evil in this world! Jesus will not be like a human ruler. All human rulers eventually reach the end of their reign. They die or are deposed and replaced by another. Not Jesus! 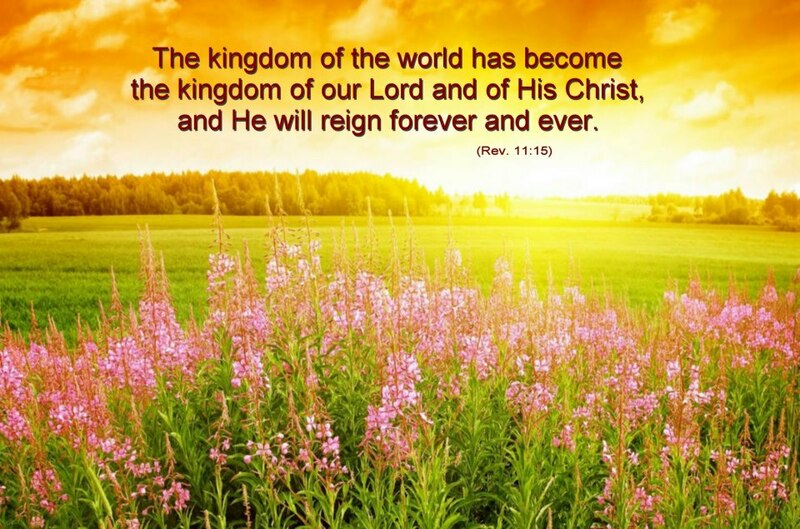 He will reign eternally, “ We live in the day of the silent sky but there will come a day when Jesus will assert Himself sovereign over the world. Jesus will come one day to take over the governments of the world. He will take reign of the earth. He will finally declare Himself to be King of the world. Man’s Day will come to an end and God’s Day will begin. One day God’s forecasting clock will strike suddenly and surely. Only God knows the timing. Remember that You have reason for optimism if you’re looking for Christ’s return. Your room is ready. If God made this beautiful world in only six days, then think what heaven is like, since He’s been working on it for almost 2000 years! Why are you fretting all of your earthly cares and worries? 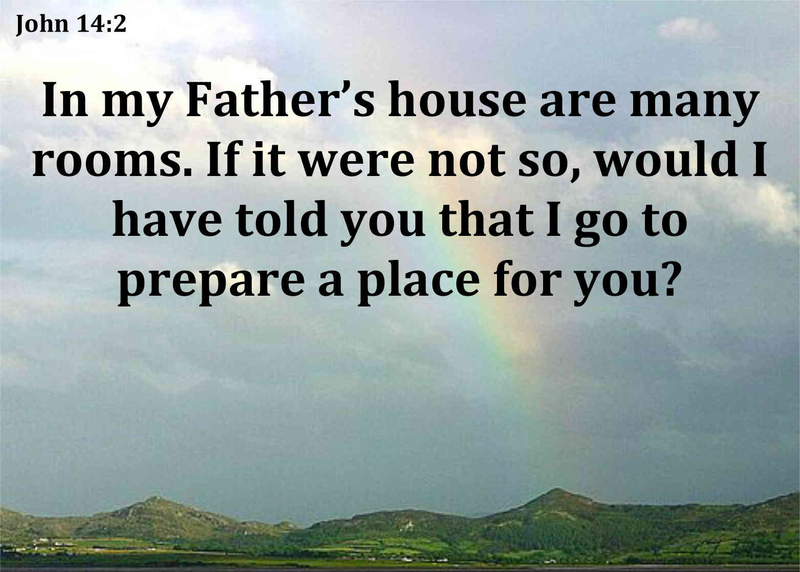 You have a dwelling place in heaven in the house of the Father that is specially prepared for you! We really can’t even imagine how awesome it’s going to be! Are you worried about your tendency to worry? Worry often gives a small thing a big shadow. 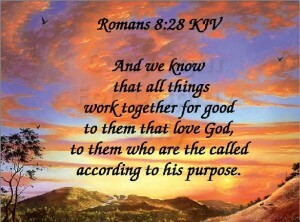 We will be amazed at how the Spirit will renew our mind when we shift our focus off of the perplexity of our problems and onto the perfection of the Problem Solver, and once again appreciate that He is everywhere, knows everything, is all powerful, and is able and willing to carry our burdens. Remaining aware of God frees us from the tyranny of things. 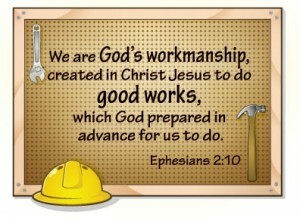 It enables us to focus our lives on our relationship with God and go on living a righteous and productive life.